So you've gone to the Tate Modern for a relaxing lunch hour; you're not here for any temporary exhibitions, but to see the permanent collection. But what to see? The permanent collection is vast, especially with the the addition of the extension, so let us guide you round the place with our highlights so you can see the best bits in your lunch hour. The multi-function turbine hall doesn't always have a giant mirror ball, but usually has some great art. There are three ways into the Tate but our favourite one is down the ramp into the Turbine Hall. Most people know that Tate is in the old Bankside power station building and this is where they housed the massive turbines, the end result being a cavernous and unorthodox gallery space. A lot of the architectural elements reference the building's power generating past, see how many of these naming references you can spot as you wander the gallery. 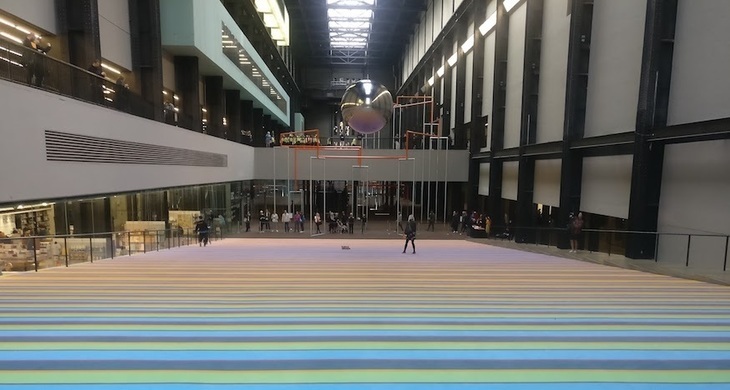 There is usually a great art installation in the turbine hall, currently it's playing host to some swings, but it's also a nice place to catch up with friends and for parents to unleash their toddlers — we've come very close to running over some charging two year olds. Take a right into the newer part of the Tate, called the switch house, and head into The Tanks. These dark spaces are reserved for performances, interactive art and video art. What's on display constantly changes, but there's always something challenging to view often of a political nature. The views from the top are great, even on a cloudy day. The lifts in the switch house are often over-subscribed so we recommend starting at the top and working our way down via the stairs. 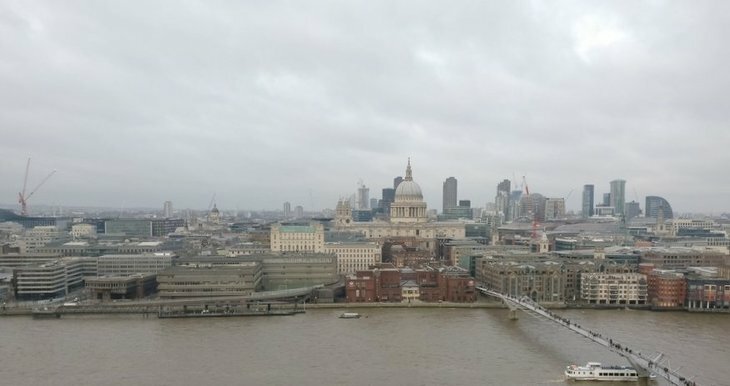 Head to the tenth floor to grab some great views of St. Paul's and controversially peep into local residents' flats. We've never known what the fuss is all about, every time we've been up there the flats have all been empty — these are million pound flats in London after all, of course they're unoccupied. Who doesn't love a city made of couscous? Image courtesy Kader Attia. 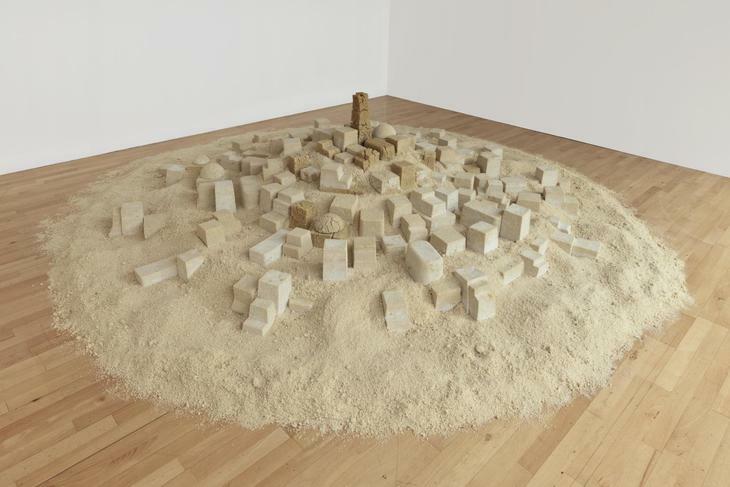 Head down to floor four as that's where the art begins again and seek out a city made of couscous by Kader Attia. It's a scale model of an Ancient Algerian city made from a foodstuff associated with North Africa. It references colonialism and the meeting of Eastern and Western cultures, plus did we mention it's a city made of couscous? Feel like you're at the beach. Drop down a level and step on to a beach. 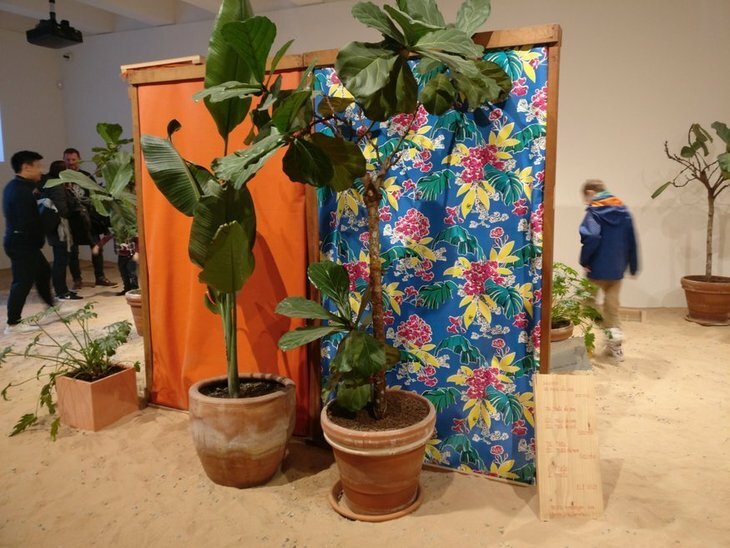 It's an installation by Helio Oiticica that contains plants and brightly coloured beach huts to resemble the favelas (shanty towns) of his native Brazil. There used to be a couple of live macaws, but the crowds proved to be too distressing for them and they've been removed. Fight the temptation to kick off your shoes, or don't — whatever works for you. 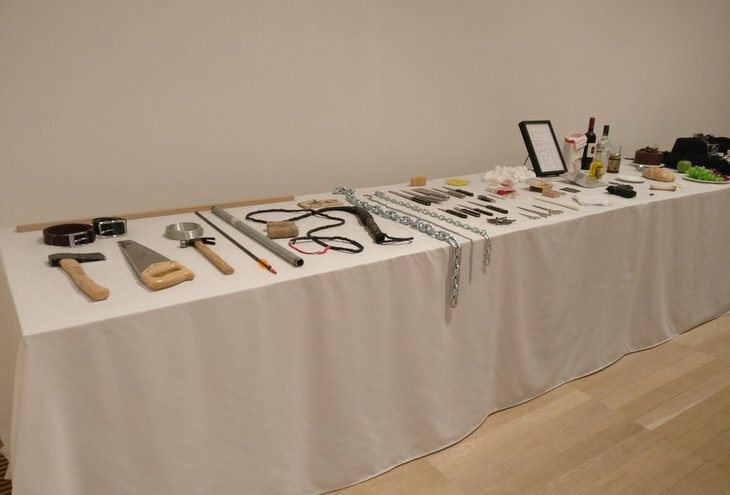 Some of the objects that Marina Abramovic could be assaulted with. On the same level are two records of extreme performance art. A table is covered with everything from a feather to a loaded gun, Marina Abramovic let members of the public use any of them on her, in her terrifying 1974 work Rhythm 0. At one point her skin was sliced with a razor blade and another time she had a loaded gun pointed at her head. In another equally extreme performance Tehching Hsieh exposed himself to the elements and then took a photograph every hour for a year. He may have missed some hours but the sheer dedication to his art is admirable, and gives us a new found appreciation for the value of time. What are your plans today? Why not head to @Tate modern and take a surreal selfie in this infinity cube by Yayoi Kusama, just like we did. Head down a level to find one of Yayoi Kusama's infinity cubes where portholes let us into a world of infinite reflections. Make sure you snap a surreal selfie — they look great on Instagram, just look at ours. What are the odds he's writing his name? Head back up to level four and cross the bridge across to the older part of the Tate, known as the Boiler House. 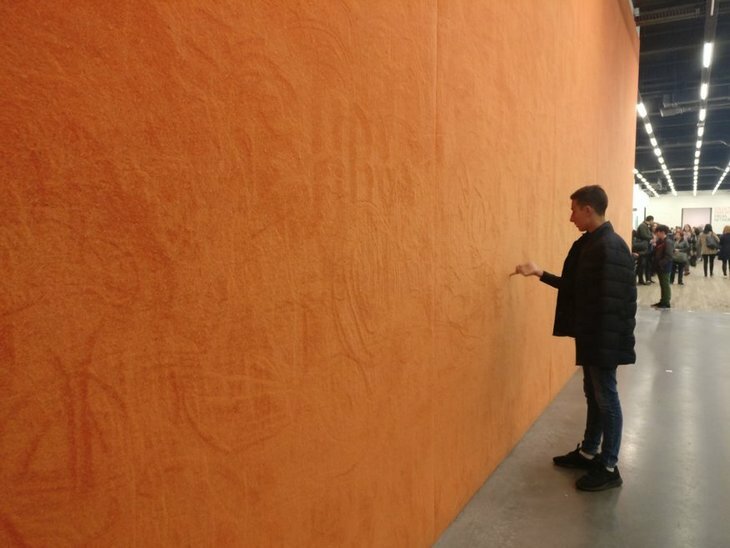 You'll be greeted by a giant orange carpet on the wall that anyone can graffiti with their fingers as much as they like. Try to be creative, maybe try to conjure up a work of art rather than the usual visitor who just writes their name. Though be warned, anyone can rub it out — that's the point of the work, we've all got the power to create and destroy art. One of the powerful stats from the Guerilla Girls. Image copyright the artists. There's a whole section on the feminist activists the Guerilla Girls. It's an eye opening look at how poorly represented female artists are represented in the contemporary art world — 49% of New York bus drivers are women, but only 16% of artists represented by major New York galleries are female. Hundreds of babbling radios create quite the noise. Image courtesy Tate. Also on this level there lies a massive tower made of radios blaring out a massive din, which means we can't make out anything. 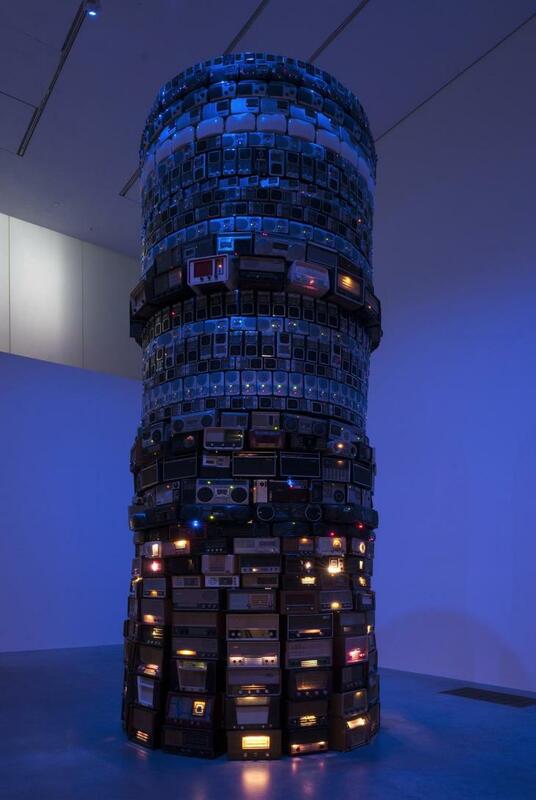 The work was made in 2001 by Cildo Meireles but he definitely saw Twitter coming. It's a biblical reference to the tower of Babel, and it sums up our age of information overload perfectly. 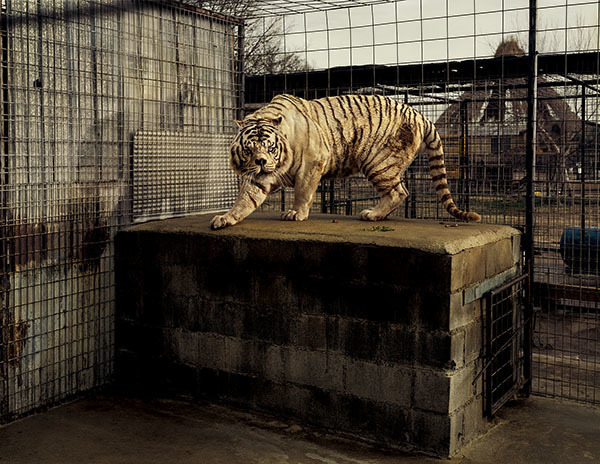 Drop down to level two for Taryn Simon's photography series where she uncovers a side of America many of us will not be familiar with. Inbred white tigers, rainforests and the seized items at JFK airport (including a pig's head) all feature in this insightful series. 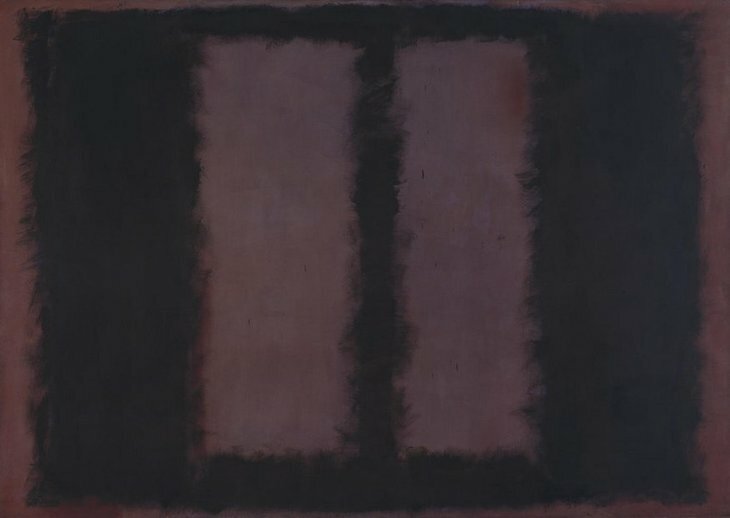 Some of the most famous works in Tate's collection are its abstract paintings by Mark Rothko, which became even more famous when they were vandalised and restored. It's best to spend some time with them to allow the dark colours to pull you into their murky borders. Thankfully Tate Modern lets you do just that by filling a low lit room with his large scale works. 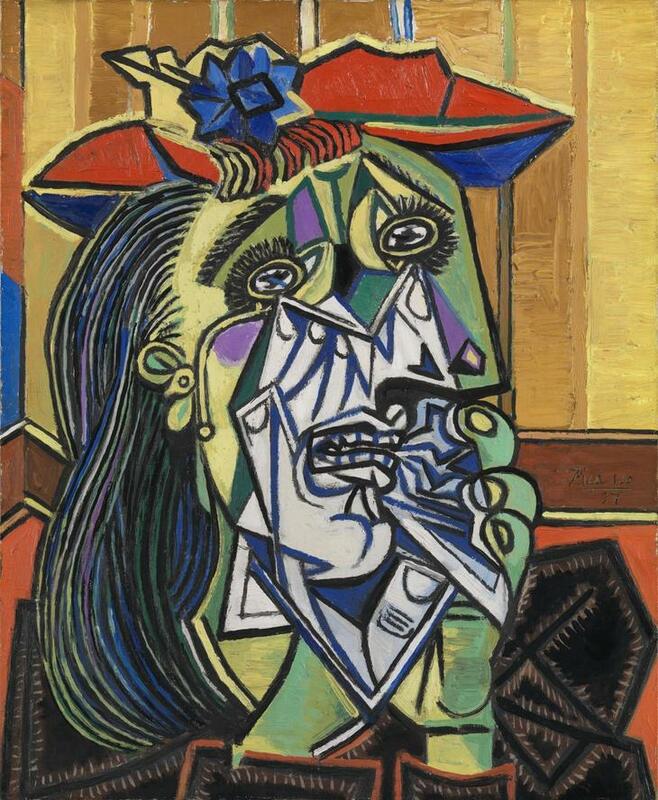 Picasso's striking Weeping Woman. Image courtesy Tate. Time to end on a high with some of the greatest 20th century artists in the Tate's collection. On level two and handily next to one another is the raw anguish of Picasso's weeping woman and Salvador Dali's surreal metamorphosis of Narcissus showing a young man falling in love with his reflection — in this case both in the water and in a rock formation next to him. Just before leaving head to level one and soak in the colours of Henri Matisse's The Snail. 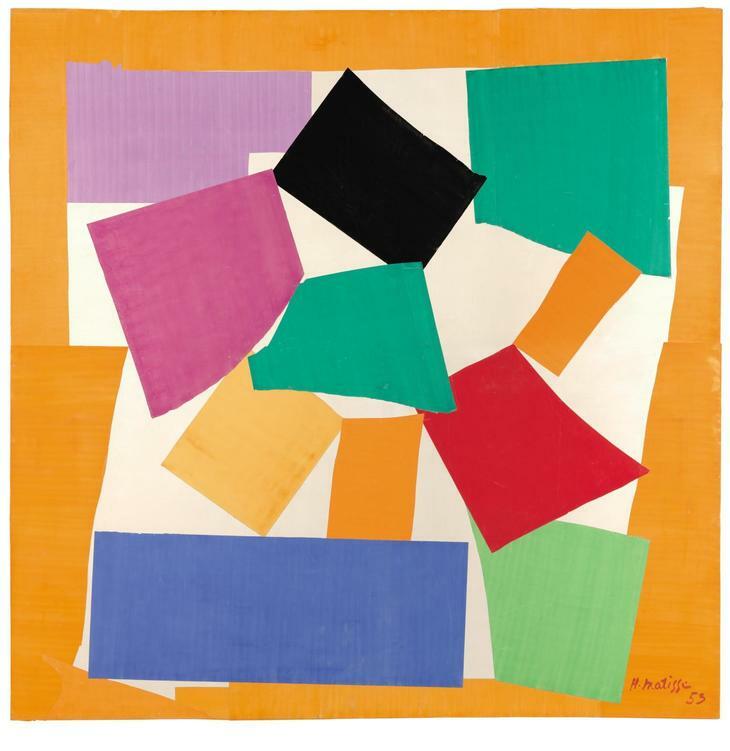 It marks a point where ill health meant Matisse could only focus on the colour and not the form, though many consider it the moment when art became truly free. The colourful joy of Matisse's snail. Image courtesy Tate. 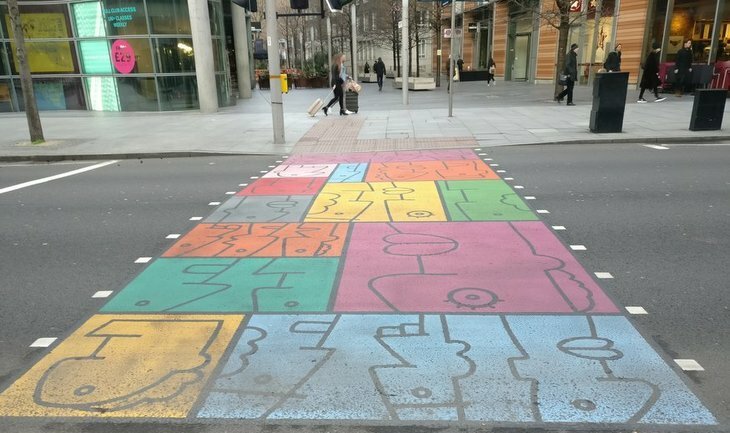 The Thierry Noir crossing is impossible for anyone to miss. As you leave Tate Modern head out to Southwark street to spot two arty pedestrian crossings that were put in as part of London Design Festival. The more recent one is full of colourful faces by Thierry Noir and last year's effort by Camille Walala has faded somewhat but is still visible. 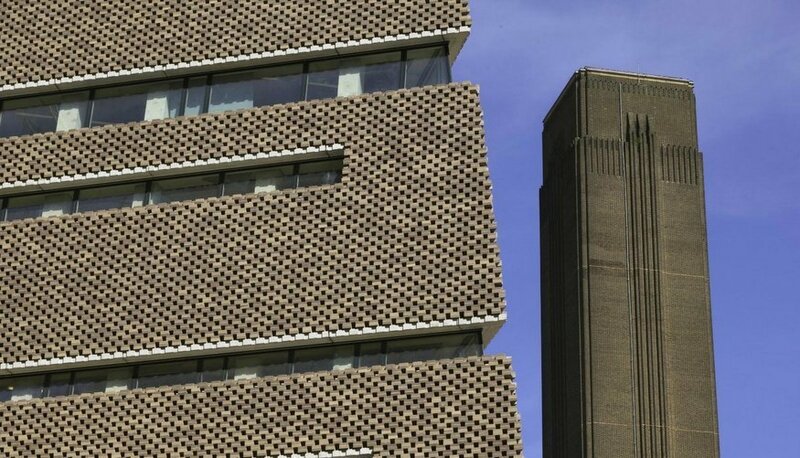 Tate Modern does sometimes re-arrange its collection, so some of these works may be moved or temporarily not on display. 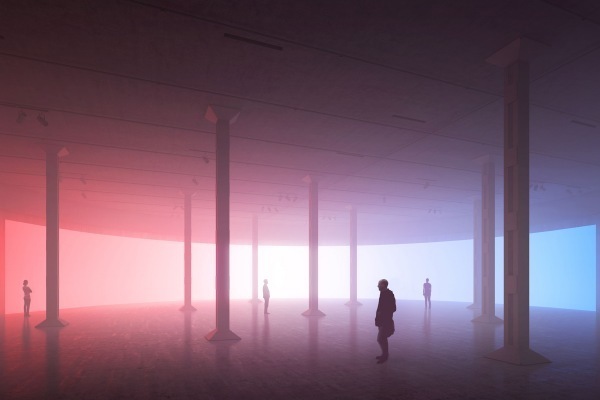 Tate Modern's permanent collection is free to visit. * The original article missed off the Rothko works, these have now been added to the piece.